SALON TODAY asked Ratay to provide her top recommendations on how to keep your salon feeling luxurious and professional. 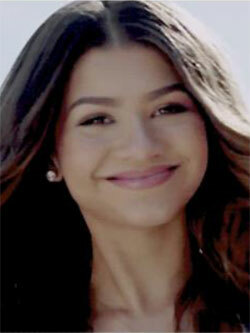 Here’s her two-cents! A light tease in the morning could prevent an oily scalp. Vaseline can be a savior for dry lips. If you’re going to spend time giving yourself a blowout – or paying cash for someone else to do it – it makes sense that you’d want to ensure your good hair days last for as long as possible. For the best advice on how to make your blow dry last longer, we reached out to a couple of celebrity hairstylists who were happy to share some quick tips on prolonging your hair-vestment. Inspired by Kate: Make your blowout last for 5 days… it’s possible! Hair today, gone tomorrow. Just as Duchess Kate’s visit to the U.S. flew by too quickly, so too does the lifespan of a great blowout. Whether you’re DIY-ing it at home or indulging in a trip to the salon, the perfect blowout is simply all too fleeting — until now. When you live in a city that has four seasons, you have to adapt—your wardrobe changes, your activities are modified and you have to work extra hard to keep that Seasonal Affective Disorder in check. Audrina Patridge spotted getting her hair done by Minardi-certified colorist Sherry Ratay at Gavert Atelier Salon in Beverly Hills on Wednesday. Actress Lacey Chabert is getting ready to celebrate her 30th birthday and plan a wedding! With such big events ahead, Lacey turned to colorist extraordinaire Sherry Ratay for an “All American Balayage” for the summer! Sherry Ratay, owner of Florida’s Salon Ratay, is also a renowned colorist and educator who teaches nationally as a Minardi Artistic Colorist. She created these finishes to showcase how colorists can develop results that enhance a client’s existing look. 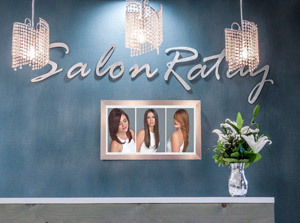 Sherry Ratay’s Salon Ratay in Central Florida conducts a photo shoot every two years to showcase its talented team and beautiful color work. Collection photos serve as consultation tools for illustrating hair color needs, likes and results.